Hope you all had the most amazing Christmas, I for one LOVED it. In fact, I'm still sitting here nursing my food baby whilst chomping down leftovers. My gluttony has no bounds! 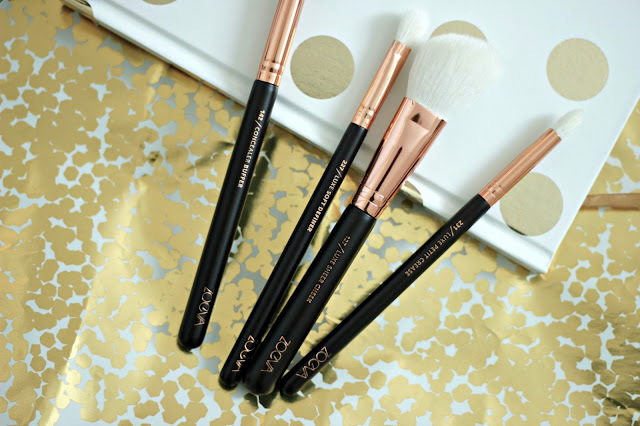 Anyhoo, I recently purchased the Zoeva Rose Golden Luxury Brush Set for myself for Christmas. Sometimes you just gotta treat yourself! I was so excited when these arrived and kept stroking the bristles, oh my are they soft. I don't know I'm a bit of a weird one when it comes to makeup tools, I do use brushes but I don't know I'm a bit of a use your fingers kinda gal but I just had to had to add this set to my collection. 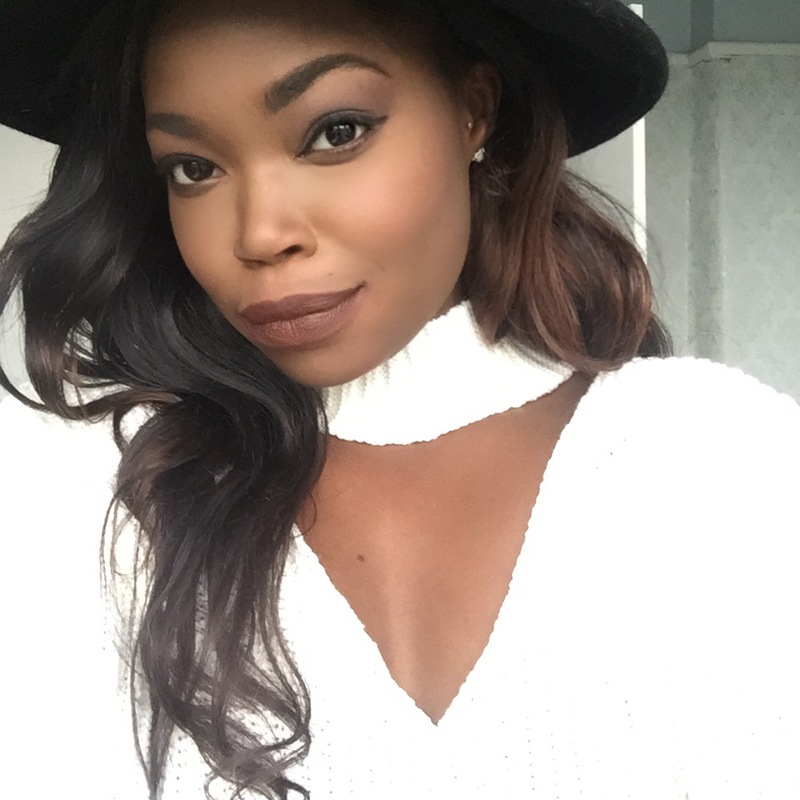 Zoeva is the go to place for quality brushed when you don't have that MAC budget. Plus, is it me of have MAC brushes gotten more expensive? I remember even the counter ladies telling me to go for Zoeva or Real Techniques. 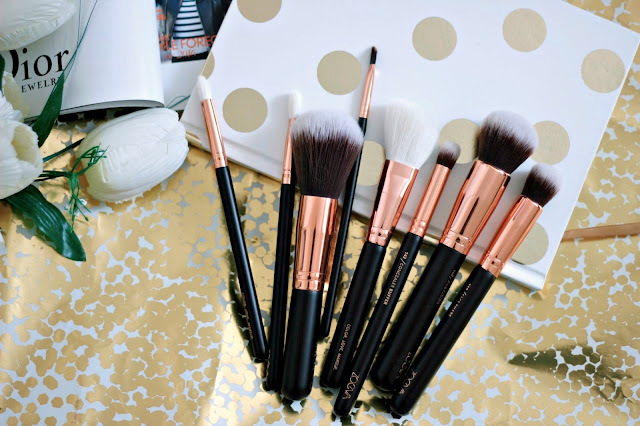 Brush 102 is a definite foundation brush and I can confirm that it blends the product into the skin beautifully. 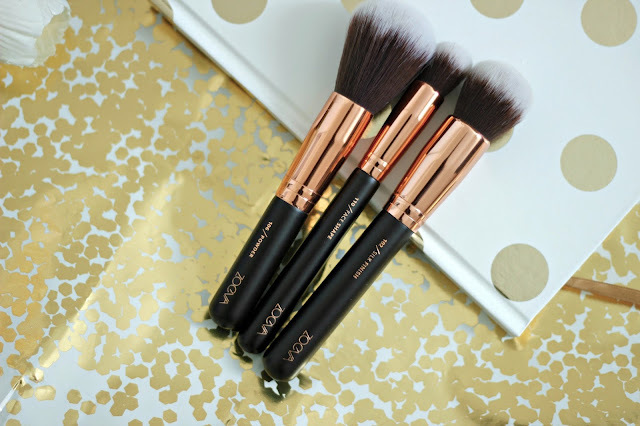 The bristles are uber soft and create a flawless finish. 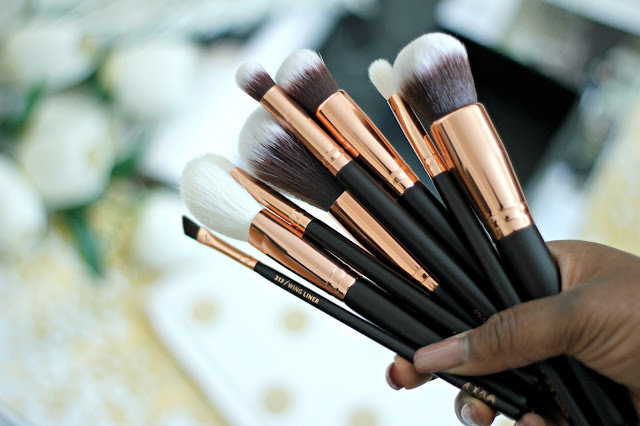 Similarly 106 & 110 are great powder and contour brushes. When it comes to concealer I'm more of a Beauty blender user. I try to apply concealer to cover imperfections and dark circles and i think using a brush just works the product into your skin instead of blending it in. However 142 is a concealer buffer brush which I use to 'bake' my under eye area with (banana powder etc.). Brushes 127, 227 & 231 are lovely white fluffy brushes. I always dread white tips on brushes, You always just want to keep everything white and fluffy as clean as possible lol. But yes, 127 is great when it comes to applying blushes and bronzers whereas 227 and 231 are perfect eyeshadow application brushes. Also I never really had a eyebrow crease brush so I was mega excited to try that one! I really recommend this set for anyone starting out trying to build their collection. 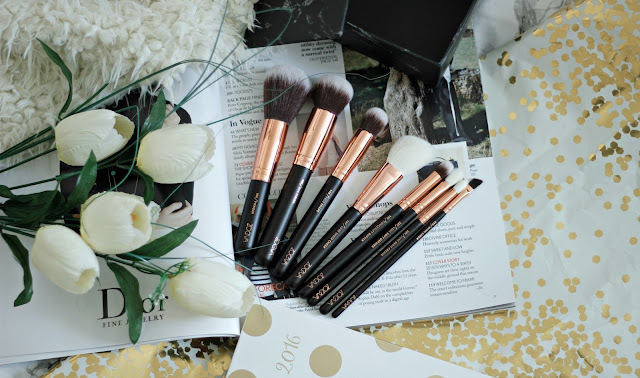 These brushes will last you an incredible long time and are perfect for both beginners and makeup novices. Thankfully Zoeva ships worldwide + for the price you won't find any more quality brushes around. Plus, I'll recommend anything and everything German tbh...I'm only joking but these brushes are great! The set is available via Zoeva as well as other online beauty places such as Beautybay & Love Makeup varying from a retail price of £55 - £60 excl. shipping. 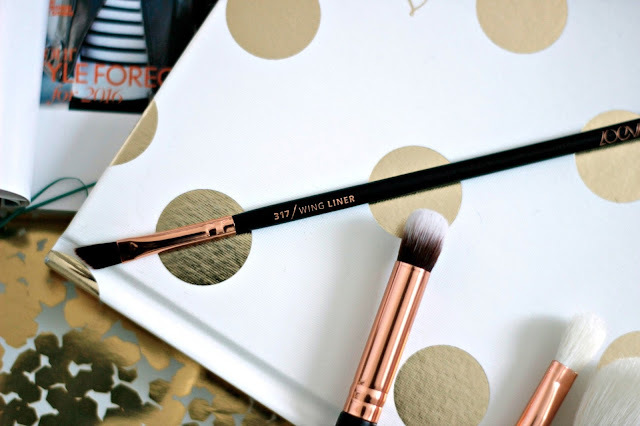 Which is quite cheap compared to MAC, where 2 brushes would set you back £40-£50.